JDiet food. When you're looking for a snack to keep you going or a light meal on the go low calorie snack choices can be really annoying. I've never seen diet petrol for sale in the nation's forecourts so why do we insist on having a larger amount of food with a smaller amount of calories? Diet foods tend to either be a small portion of the real thing, or a larger portion of something that isn't the real thing. Both of these are inherently disappointing. 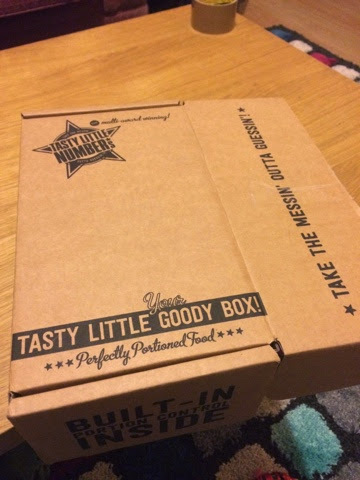 With that in mind I received this neat little box of surprises in the post from tasty little numbers. Inside we have a staggering 40 chocolate bars! How am I ever going to get rid of 40 diet chocolate bars?! The outer and inner boxes are covered in slogans and design elements suggesting a lot of effort and thought has been put into this range. The unique part is that each item by this company is a multiple of 100 calories, and all of the chocolate bars here are 100 calories. This means that there aren't any points, sins or other faff to worry about. Figure out your day's calories and then break it down in products. Fairly simple really. Here we see what 100 calories 'buys' you in the snack cupboard next to my desk. 17 polos, a bag of baked crisps, 2 breakfast biscuits, half a cadbury biscuit bars, almost half a snickers. My favourite comparrison which wasn't in the picture was 6cm of Twix - that's about 2/3 of one finger! With the exception of the crisps, all of these are a little less satisfying than they should be, and even the crisps are multipack sizes so not ideal. The last thing we have is the Tasty Little Numbers bar. These are mostly chocolate, which is a surprise, and inside there is a biscuit which is more like a rice crispy bar than a digestive. And - much to the surprise of everyone - it works REALLY well. I'm not talking a nice surprise here, I'm talking a revelation. Guys who scoff at diet food wanted more - and they wanted ones to take home to try on their partners. Far from 40 being a chore to distribute to people I've had to ration them out. This isn't diet food, this is legitimate snack food for people who don't want to have to diet. There are three flavours, and they all taste of the (milk/white/dark) chocolate that they claim to. They are pretty light and 20g doesn't get you a huge amount of chocolate, but they are 50p each and 100 calories - so you can have two and still be 40 calories lower than my More Choc Snickers. One of the guys confessed to eating four (!) chocolate bars a day, but that he would happily swap them for these. Without dieting that would be a switch from 1,000 calories to 400 calories. That's pretty epic. Granted I think he's probably eating multipack bars but still a big difference. 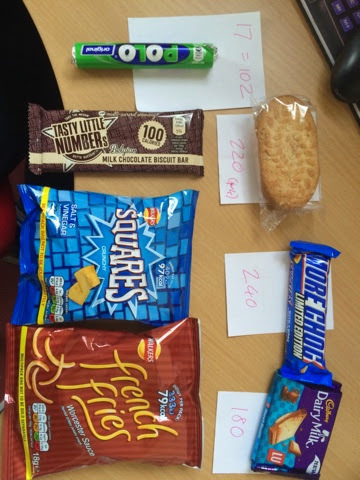 The only person who hinted they'd prefer something else was my partner who hasn't finished her allocated one of each stash and I think would rather have the full choc bar or the multipack crisps to the same calorie value. If you are calorie reducing, or just keeping tabs on your intake the. This could be something you want to look into. 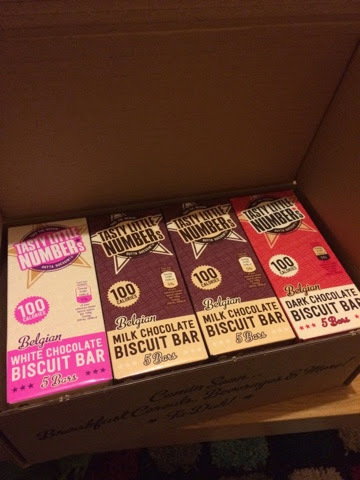 A box of 40 bars is £20 on their site, and they have lots of other products to look into too. I will see if they have taken the same care and attention over those.